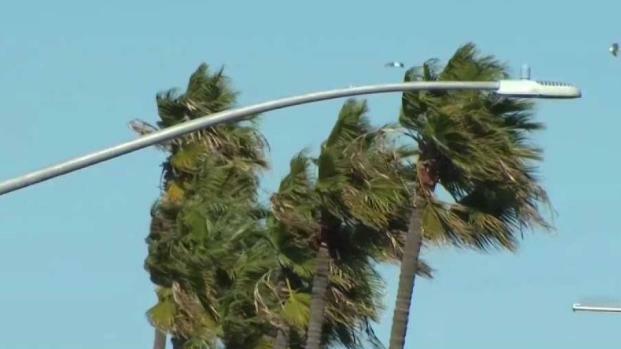 Gusty Santa Ana winds are expected to pick up throughout the day Tuesday bringing warmer temperatures to San Diego County for the next few days. A high wind advisory was in effect until noon Wednesday due to strong offshore winds that had the potential to make driving through mountain passes and valleys difficult, especially for high profile vehicles, the National Weather Service said. Winds are considered Santa Anas when strong, hot wind blows from the desert regions offshore towards the coast, as opposed to onshore flowing winds that move inland from the Pacific Ocean. While Tuesday morning began with cooler temperatures -- in some cases up to 20 degrees cooler than Monday -- strong winds will change directions in the afternoon, bringing warmer temperatures along with the Santa Anasm, NBC 7 Meteorologist Sheena Parveen. NBC 7's Audra Stafford was in Alpine where Santa Ana winds were expected to increase throughout the day Tuesday. Winds will average 30 to 45 miles per hour in the inland valleys, foothills and mountain passes, Parveen said in NBC 7's First Alert Forecast. A more severe high wind warning was in effect for parts of San Diego County on Monday but was weakened to a wind advisory Tuesday. 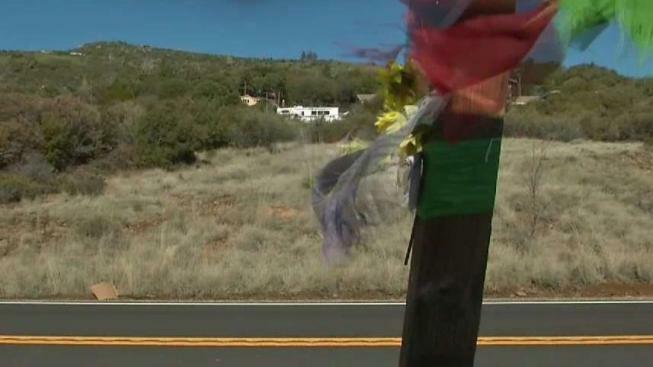 During the high wind warning, the National Weather Service registered the fastest wind speeds in the county at 71 mph at Volcan Mountain north of Julian. Harrison Peak, Boulevard West, Borrego Air Ranch Airport, Sky Valley and Boucher Hill all saw wind speeds 60 mph or faster. Winds along the coast were gusting around 25 mph. “Borrego Springs has been very high all morning with our winds, 72 mph gusts there,” NBC 7 Meteorologist Sheena Parveen. said. Though, the brutal winds won't stop some. Mitchell Pelegrin from Point Loma continued to fish, despite the bitter conditions. "This isn't so bad really. The wind doesn't bother me," Pelegrin told NBC 7. However, for crews using cherry pickers, the wind can be really bad. The high gusts pushed the large trucks, but it wasn't quite strong enough to push them over Tuesday. CalFire warned that San Diegans should always be on guard against wildfires.